Customized printed paper jewelry box, the whole is smooth, simple and beautiful, with a unique temperament. 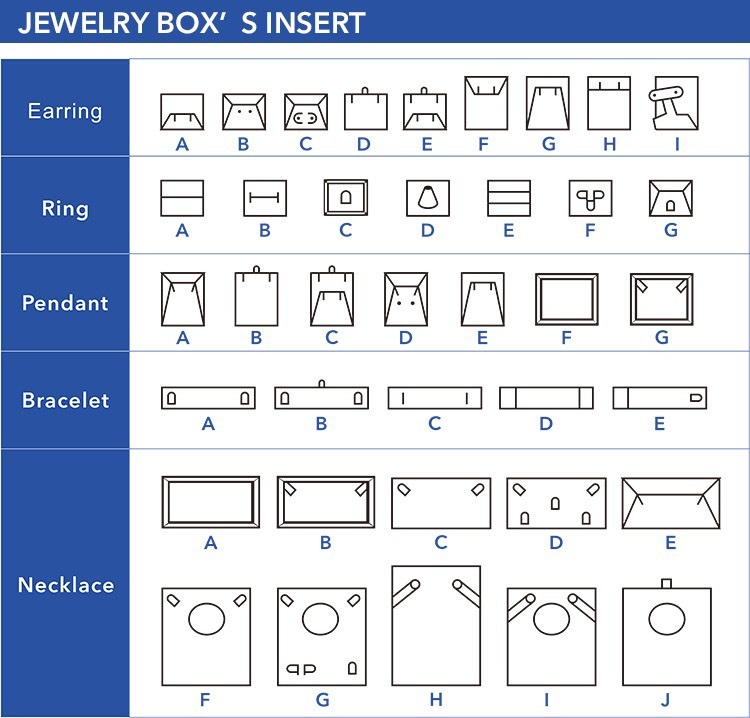 About the customized printed paper jewelry box.You can choose the design in the picture and also provide your own ideas. 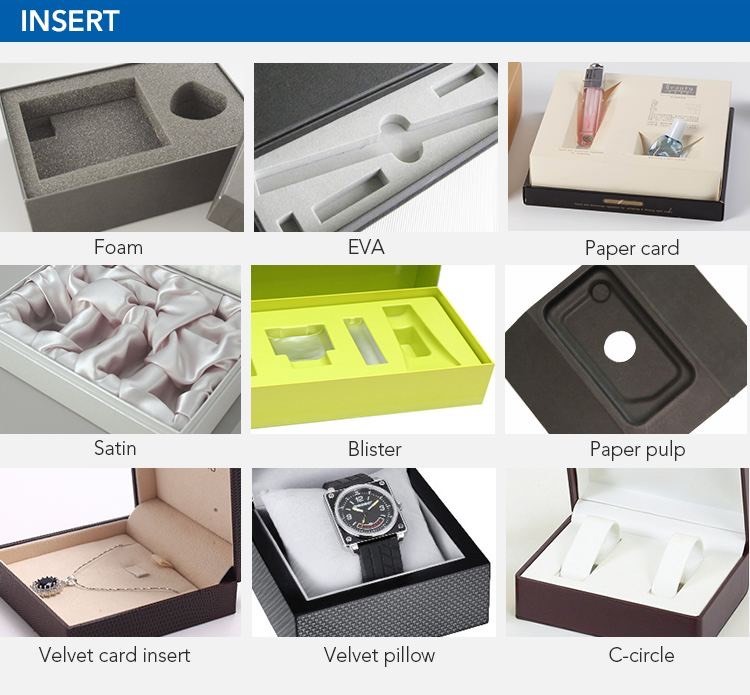 These materials can be used as surface of the customized printed paper jewelry box. 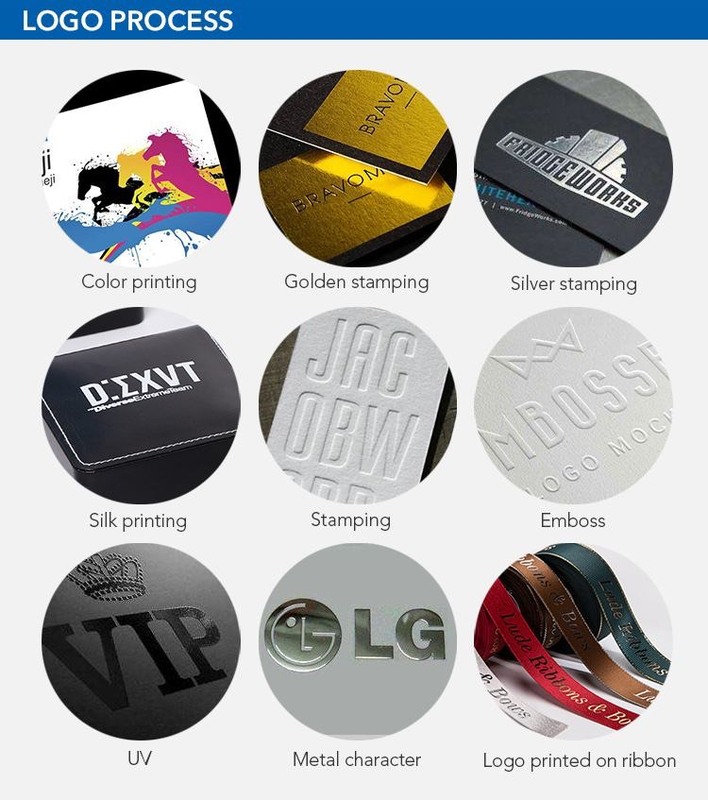 The picture below is the embedded form of the LOGO on the customized printed paper jewelry box. 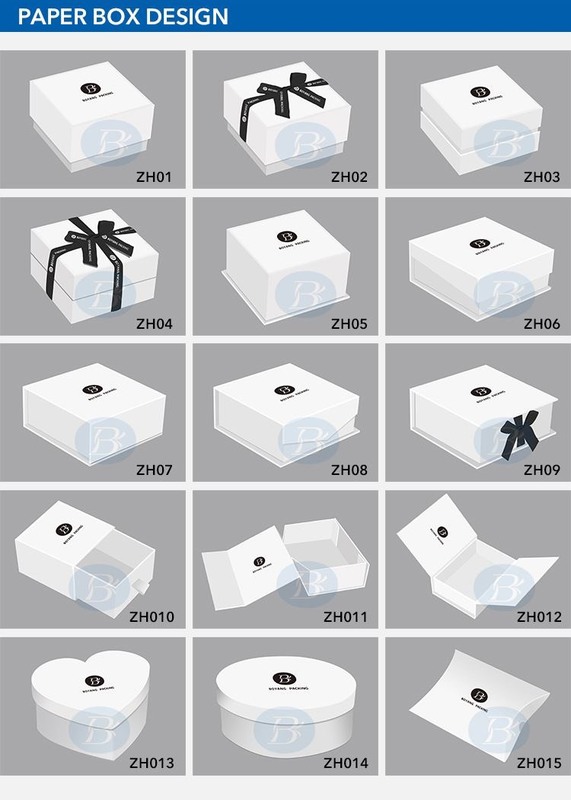 According to your requirement, customized printed paper jewelry box have many different lining styles. 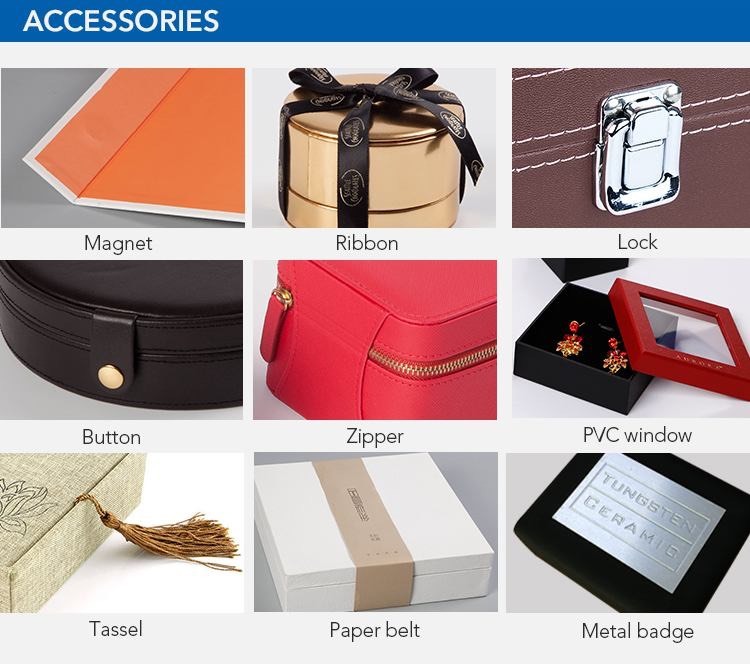 You can choose one accessory or multiple accessories for the customized printed paper jewelry box. We will be in accordance with the requirements of customers design and manufacture of our products,generally speaking we do not have the store. 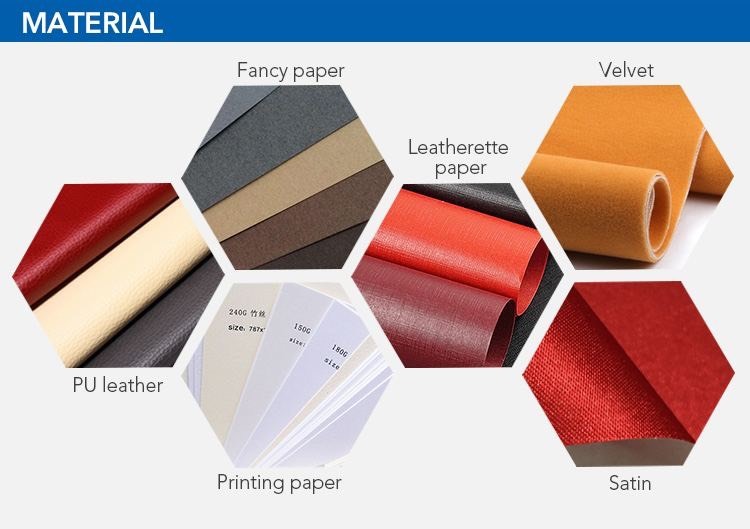 Our company is committed to providing professional solutions for printing and packaging industrial, which has been around for over 12 years since 2002. We have our own factories，a dozen years of designers and manufacturing staff. In general, our MOQ is 5000pcs. 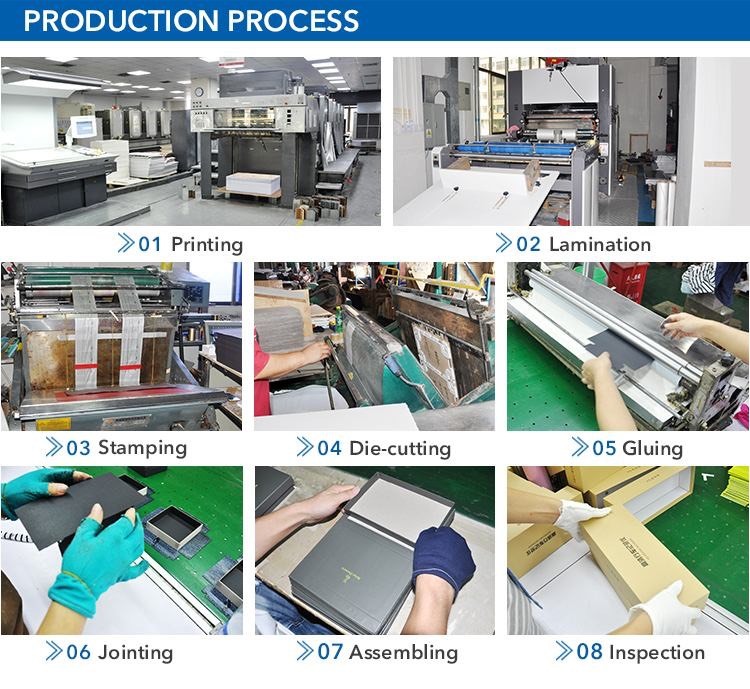 When the order is less than 5000pcs, the cost will be very high due to copying, printing, mold and setup costs. our samples in stock, sample free, freight collected or prepaid. of the product. samples cost will refund in bulk order. Generally 3-5 working days for sample making. volume production time 25-35 days.